I've been chasing warm-water species with a main focus on carp of course. 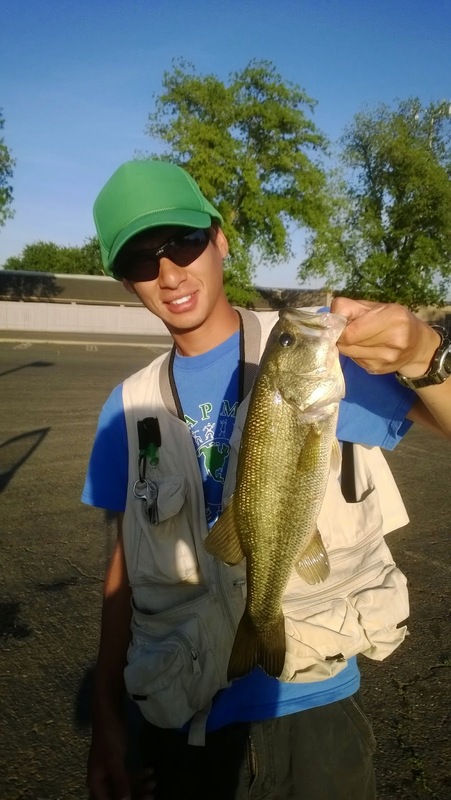 I've been fishing locally at Horseshoe Lake in Chico, Ellis Lake in Marysville, and Paradise Lake in Paradise. 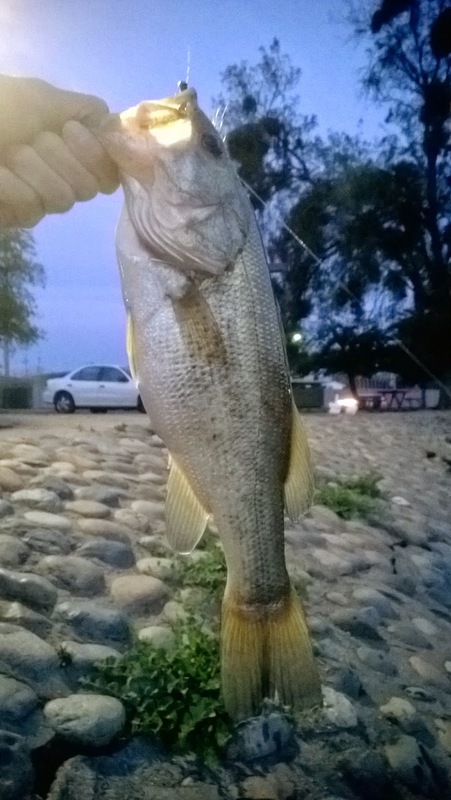 Here are some of my catches and reports. Its been pretty windy here in Chico and that usually can turn off the carp feeding in the afternoon. I manage to find a plethora of carp feeding on the edges of the lake but they were super wary and wouldn't take. I tried for a good three hours and did not get a single take the whole time. Those tricky carp will be caught someday soon. I saw a few anglers catch a few small catfish. Once the weather really warms up they can be found in the shallows taking woolly buggers that represent the carp fry but the weather has been fluctuating a bit these past few weeks. 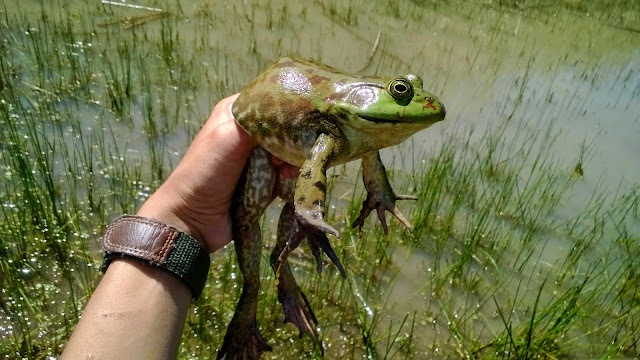 Saw a bullfrog just hanging out in the weeds and got him to bite a fly. This past weekend was really windy and the bite was a bit slow. 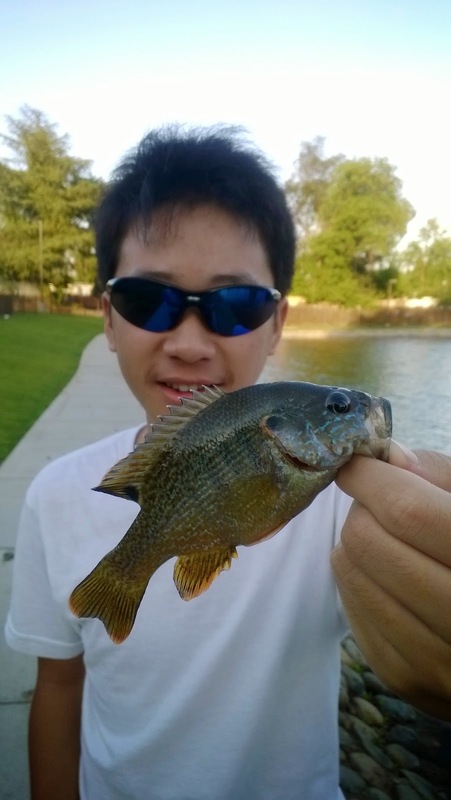 Nick and I caught a ton of bluegills and lost a lot of freshly tied flies. I caught a nice mama bass my second cast on a clouser minnow and hooked another bass the following day in the evening. Once the wind dies down and the summer weather starts to kick in the warm-water fishing should start getting a lot better. Again the weather fluctuating has made fishing a bit unproductive. The water level has risen quite a bit and the shallows are green with plant growth and algae but I still had a hard time catching fish. I hooked a daddy bass guarding his bed on accident after trying to cast into the sunken trees. 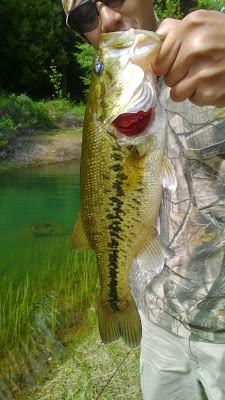 There were quite a few people fishing the parking area for the trout planted a few weeks ago, there were some successful fishers with a few trout on a stringer and a lot of others that got skunked. May is here and I have heard the first report on shad being seen and caught around Chico. I'll be getting out there and seeing if I can catch my first on some of the flies that I tied. Time will only increase my chances of hooking up my first shad. Great job with those bass, bro! I still have to get into one on the fly. Those green sunfish in the cracks at ellis lake are a blast to catch!